If you’re getting older and think you’ll need a nurse in the future, think again. If you’re an attorney involved in litigating cases of nursing malpractice, you’ll have job security. The ongoing and growing nursing shortage will result in more reliance on unskilled assistive personnel (aides) with fewer nurses to oversee them. Fewer nurses means more pressure on nurses and more chance of errors. The supply of nurses in hospitals can be compared to a pipeline. Fewer people are entering nursing school (the opening of the pipe). As nurses age, they reduce their working hours and eventually retire. The pipe has developed leaks, as nurses leave hospitals to work in other healthcare settings. The resultant stream of nurses through the pipe is not sufficient to meet the ever-increasing demands for skilled healthcare providers. The need for nurses continues to escalate. As the population ages, and older people live longer, they develop more chronic illnesses that require medical and nursing attention. There is an estimated pool of 75 million baby boomers who will be increasingly in need of medical care as they age. Ironically, the baby boomer generation is filled with nurses who are approaching or are in retirement. The job market is affected by the health needs of the aging population and the increased complexity of health care. Should you advise your son or daughter to go into nursing? Recent changes in healthcare coverage are adding more patients to the health care system. Employment of registered nurses is expected to grow by 22 percent from 2008 to 2018, much faster than the average for all occupations. Growth will be driven by technological advances in patient care, which permit a greater number of health problems to be treated, and by an increasing emphasis on preventive care. In addition, the number of older people, who are much more likely than younger people to need nursing care, is projected to grow rapidly. The growth rate for new nursing jobs is highest in physician offices. The United States is in the midst of a nursing shortage that is expected to intensify as baby boomers age and the need for health care grows. In 2010, the average age of the RN was 46. 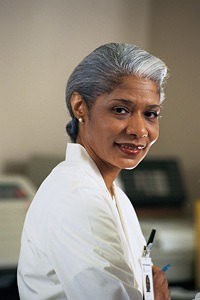 The employment of RNs older than age fifty is growing faster than among any other age group. With the average nurse in her or his forties, and a fairly substantial number of nurses in their fifties and sixties, a large segment of the current workforce will be retiring in the upcoming years. These individuals cannot be replaced, either in experience or in sheer numbers. Nurses will start to retire at the time baby boomers begin turning 65 years of age and start using more care. Forecasts for a registered nurse shortage in 2020 range from 400,000 to more than 1 million. In addition to the number of RNs who leave nursing, there are almost one-half million licensed nurses who are not employed in nursing. The problem is compounded by the fact that nursing colleges and universities are struggling to expand enrollment levels to meet the rising demand for nursing care. More than one million new and replacement nurses were needed by 2012. There are nearly 100,000 vacant nursing positions in long-term care facilities on any given day, and the nurse turnover rate exceeds 50 percent. The shortage is costing long-term care facilities an estimated $4 billion a year in recruitment and training expenses. This turnover statistic is in comparison to a survey that found that the average registered nurse turnover rate was 13.9 percent, the vacancy rate was 16.1 percent, and the average RN cost-per-hire was $2,821. This all adds up to lots of need for nurses and not enough supply. From a patient safety standpoint, it is not encouraging.